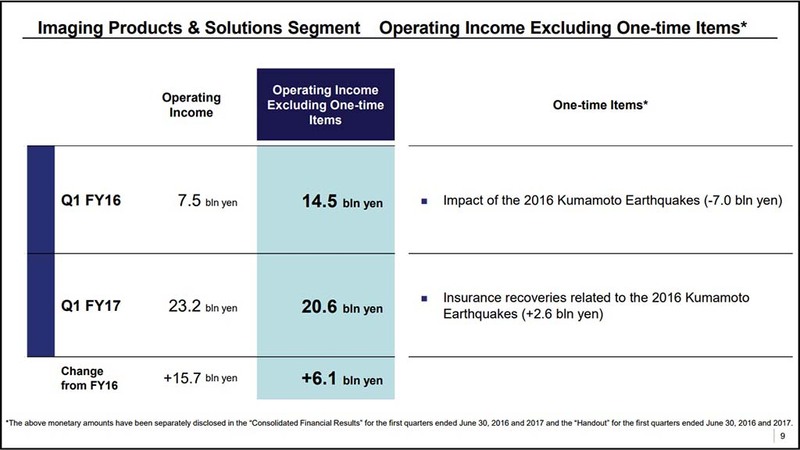 Sony released their FY2017 Q1 report today and sales are up, but they aren’t as bullish about sales as they were for FY2017, which ends in March 2018 so they revised projections for FY2017 down. 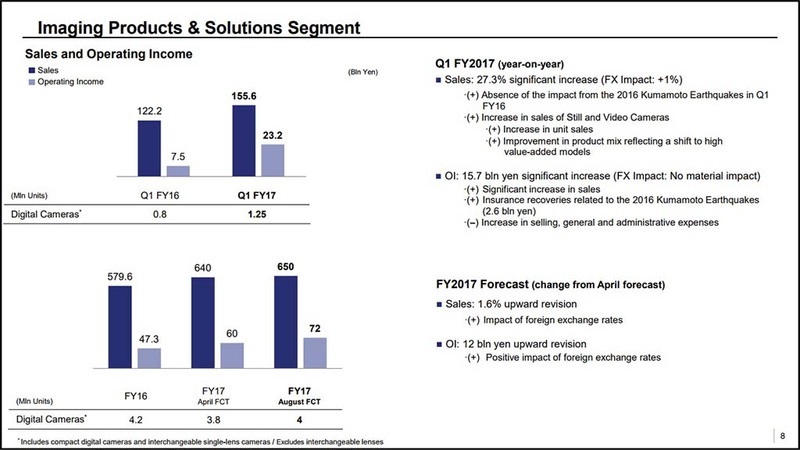 It seems Sony is expecting lower image sensor sales for mobile products and exchange rates to cut into their profits for FY2017. This entry was posted in Press releases and tagged Financial Report. Bookmark the permalink. Trackbacks are closed, but you can post a comment.